I’ve always been pretty good about prepping my food for the week. As a teacher, I have lunch on my feet and have no access to the microwave or fridge in the teacher’s lounge. The bonus is that I’m nowhere near the goodies that lurk in the teacher’s lounge. The hard part is that I never have warm food and the food I do have must fit in a lunch bag. 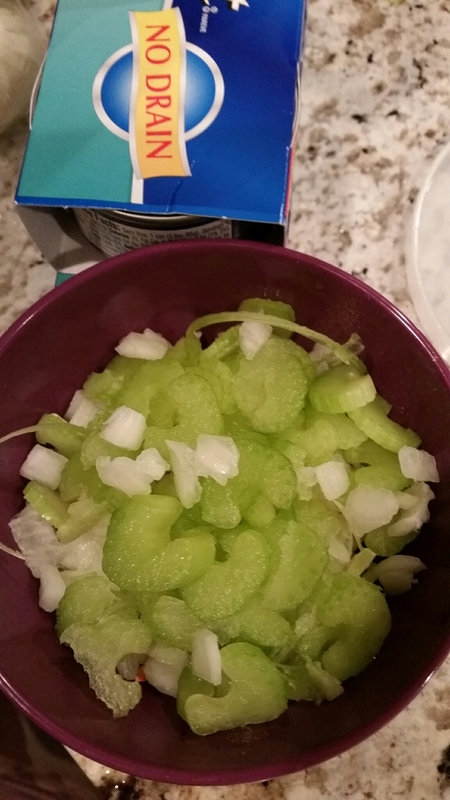 1 small sealed bowl of julienned broccoli, onions, and celery. 1 small can of tuna. 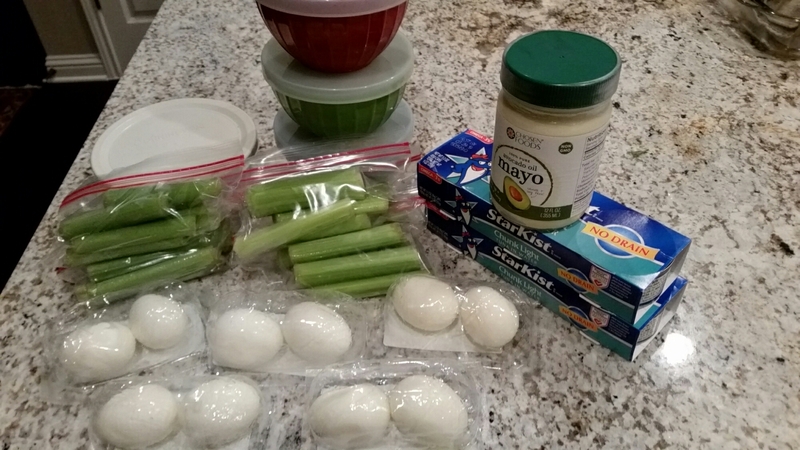 I’ll probably eat one boiled egg at 8:40 with 3 celery sticks, then mix the remaining egg with the tuna, broccoli, and primal mayo during lunch duty. During 8 th period prep, I’ll eat the last three celery sticks. Wheel I get home, I’ll have 1/2 caff coffee with a lot of frothy almond milk while I make dinner.